Buying books for college can be a big financial burden, and buying used is a great way to save. Thousands of independent and used bookstores, many of which are located near colleges and universities, offer students the option of buying or renting required course materials at prices much lower than what might often be found in college bookstores or online. We’ve narrowed it down to our favorite 50. Located in or near college towns in every major region of the country, these establishments offer selection and prices that make saving on books practical, rewarding, and fun. Between its two locations in Fredericksburg, Virginia and Washington, DC, Riverby Books has a huge selection of used and rare books. Though they carry both fiction and nonfiction, Riverby’s large collection of the latter separates it from other DC bookstores, and makes it a perfect resource for college students looking for textbooks and research. For those interested in binding and antique books, the Fredericksburg location also serves as a bindery, performing repairs and custom work. Located in the historic Capitol Hill section of Washington, DC, Capitol Hill books is a used bookstore featuring two floors of high-quality used, first-edition, and rare books. The store carries large selections from every major genre, and much of the store’s stock is also available online. Located about two blocks from the Eastern Market metro station, and within walking distance of the US Capitol, The Library of Congress, and the Supreme Court, Capitol Hill Books is easily accessed from all of Washington D.C.’s colleges and universities. Westsider Rare and Used Books, Inc.
Westsider buys, sells, and trades used and rare books across a number of genres, including fiction, graphic design, Asian, African American, Architecture, and more. For those with a particular area of interest, Westsider will keep your contact information on file (confidentially), then contact you when specific books come in. Westsider also has a record store, with hundreds of used albums, CDs, VHSs, and DVDs. Located on the upper west side of Manhattan, Westsider is a convenient resource for New York City college students, especially those of nearby Columbia University. Consisting of over 35,000 square feet of retail and warehouse space, Old Editions Book Shop is one of the country’s largest antiquarian bookstores. With something for every budget, the store carries used and rare books, prints and artwork, first editions, signed copies, historical documents, autographs, and collectible magazines, postcards, and memorabilia. Located in downtown Buffalo, within easy access to the local State University of New York, Old Editions encourages students and other readers to stop by the cafe, browse and relax, and attend their frequent events. Shakespeare & Co. (no relation to the Paris-based bookstore of the same name) is a chain of three bookstores located throughout New York City. Though Shakespeare & Co. doesn’t have a single specialization, they stock a well-balanced mix of genres and authors, and boast a bestseller list based on the store’s own receipts. With locations near NYU, The New School, Hunter College, Marymount Manhattan College, and Brooklyn College, Shakespeare & Co. is a perfect resource for New York’s student population. Students can purchase new and used textbooks from the store, then sell them back to the store at the end of the semester. Annapolis Bookstore is the epitome of small town, independent bookstore. The store’s many events — ranging from book clubs to signings to writers’ groups — have created a loyal customer base of local readers and writers. Though Annapolis carries books on almost any topic, it specializes in maritime titles, the classics, and children’s books. The store also works closely with St. John’s College, keeping on hand reading list selections and other books for both students and faculty. Crow Bookshop is an independent bookstore catering to the Burlington, Vermont community. Selling new, used, and remainder titles, Crow is a great source for books in nearly every genre. Almost everything in the store is permanently discounted (adult hardcovers are always 20% in the store! ), and followers of Crow’s Facebook page have access to a number of additional discount coupons. Open seven days a week in downtown Burlington, Crow Bookshop is across the street from Community College of Vermont, and within easy distance from University of Vermont. Labyrinth Books, an independent bookstore “for engaged readers,” caters to Princeton University by providing new and used copies for all its required textbook lists. Students enrolled at Princeton University are offered a 30% discount on their course books, and 15% off of any other purchases. According to staff, a significant amount of the inventory is discounted anywhere from 20-90%. Labyrinth often collaborates with local cultural, political, and academic organizations to offer a wide variety of book readings and other events. The Bookmill, located on the banks of the Sawmill River, is so much more than a bookstore. The Lady Killigrew Cafe serves food and drink all day (and well into the night), while live music and a weekly movie night provide entertainment not usually expected from an independent bookstore (perhaps that’s why Salon.com named it one of the “world’s most inspiring bookstores”). The Bookmill stocks thousands of new, used, and overstock titles of all genres, though they specialize in academic titles for the convenience of local Amherst College. Harvard Square’s Raven Used Books caters to both the collegiate and literary population of Cambridge, Mass. Each day, Raven purchases hundreds of books from professors, grad students, and the general community, ensuring that the store’s stock remains fresh and exciting. Though Raven carries a variety of genres, it specializes in scholarly and literary titles in categories like art, architecture, music, history, philosophy, classical studies, and more. With over 1,000 books added to their shelves each week, Raven Used Books has established itself as one of the best scholarly used bookstores in the country. The Harvard Book Store has been a Cambridge staple since 1932. Locally owned and independently run, the store offers a wide variety of new, used, and bargain books to a loyal clientele of Harvard students, professors, and local bookworms. Harvard Book Store boasts “Paige M. Gutenborg,” a book-making robot capable of printing and binding any of millions of titles within minutes! Though Paige may be reason enough to make a visit, those unable to make the trip to the Harvard Square location can receive their books via the store’s local bike delivery service. Wilson’s Book World is a family owned and operated bookstore in St. Petersburg, Florida. One of the oldest bookstores in the Southeastern United States, Wilson’s is a proud member of the Florida Antiquarian Booksellers Association. Over half a million titles — including hard covers, paperbacks, comics, manuscripts, and ephemera — are available at Wilson’s at any given time. Though the bookstore specializes in antiquarian titles and pleasure reading, its St. Petersburg location makes it a good option for students of Eckerd College, St. Petersburg College, and other local colleges and universities. Chamblin Bookmine reportedly has Florida’s largest section of new, used, and rare books. With three locations in the Jacksonville, Florida area, Chamblin is a convenient textbook option for students of the University of North Florida, Jacksonville University, and Florida Community College at Jacksonville. 98% of their stock is used, and prices are described as “low to medium priced.” Chamblin also allows readers to trade-in their old books for store credit. The family-owned store also sells old magazines, maps, atlases, audio books, and DVDs. Since first opening in 1979, Square Books has grown to three separate buildings (about 100 feet apart) on Oxford, Mississippi’s historical town square. The main building houses a cafe and most of the store’s fiction selection, while the second and third buildings house nonfiction and children’s titles, respectively. Square Books specializes in literary fiction, books on the American South, and books by Southern writers — an appropriate specialization for a bookstore in the home town of William Faulkner, Barry Hannah, Larry Brown, Willie Morris, and John Grisham. Square Books is within easy access to University of Mississippi. For those University of Texas or Concordia University students interested in political and social issues, Monkey Wrench Bookstore is the place to go. According to the Monkey Wrench website, the store’s mission is “to help create an enduring space for meeting, participating, and engaging in discussions and struggles that push toward something radically different.” The store stocks a carefully curated selection of radical books, magazines, posters, and ephemera, and offers a long list of meetings and other events. Monkey Wrench is run entirely by a group of volunteers, and all proceeds go to keeping the store open. For over twenty years, book collectors Larry and Saralee Woods have been providing Nashville’s book lovers, collectors, students, and book clubs with new and used books. Especially convenient for students (the store is within easy access to Vanderbilt University), Bookman Bookwoman’s staff will work to obtain any book they do not already carry in stock. The store also offers a number of events and special sales throughout the year. It has been voted Nashville’s Best Bookstore by Nashville Scene and Nashville Woman. Located so close to the University of Louisville, it’s considered part of the campus, Gray’s College Bookstore caters to U of L students. The bookstore offers new and used textbooks and other course materials for rent or purchase, and even accepts students’ financial aid as payment. At the end of the semester, students can sell their textbooks back to Gray’s for cash or credit, or use the Gray shelves as a sort of consignment option. A Reader’s Corner has been providing University of Louisville students with new, used, rare, and out-of-print books since 1997. The more than 50,000 in-store books include fiction, history, religion, philosophy, reference, biography, psychology, and more, while most other titles can be special ordered to arrive in 2-3 business days. For frequent customers and followers of their social media pages, A Reader’s Corner offers coupons and discounts, and local educators always receive 25% off. Wild Fig Books carries over 20,000 used books including cookbooks, Civil War material, graphic novels, literary classics, and rare and hard-to-find titles. Known for their lower-than-the-internet prices, Wild Fig Books is a great place to go when looking for a deal. Used paperbacks are typically less than half of the list price, and every fourth book purchased (in one transaction) is free. Though Wild Fig Books hardly specializes in textbooks, the store is a convenient stop for book-loving students at the University of Kentucky. The Last Word may just be the perfect place for Charlotte’s avid book readers. The bookstore stocks its shelves daily with new material, almost all of which come from the never-ending cycle of customers who purchase books, then sell them back to the store for store credit. Thanks to their loyal customer base, The Last Word has the best quality and selection of books and media in the Charlotte area. In addition to non-fiction books in every category, The Last Word carries classic and contemporary novels, poetry, plays, and more. The store is near the University of North Carolina at Charlotte, and many of the city’s other colleges and universities. Mr. K’s Used Books, Music and More is a collection of used bookstores with five locations around the Southern United States: Asheville, NC; Charleston, SC; Greenville, SC; Johnson City, TN; and Oak Ridge, TN. Mr. K’s buys, sells, and trades used books, audiobooks, CDs, records, DVDs, and Blu-Rays. Operating under the belief that good material should be available at low prices, Mr. K’s is a great resource for students looking for both textbooks and pleasure reading. Ravenswood Used Bookstore might be small, but it is packed with thousands of titles available in every price range. Though Ravenswood specializes in classical titles and authors from every literary period and country, the store carries books from just about every category and genre. The store is run by a staff of two, one the owner and the other a store manager. Together, they buy, sell, and trade books, and post blogs and book reviews on Ravenswood’s website. Though as clean and organized as a new bookstore, Sixth Chamber has the inventory and prices of the very best used bookstores. The store’s management seeks to carry clean, important, and enjoyable books in genres like fiction, history, psychology, mystery, and children’s. Customers are encouraged to spend time browsing through the store, but can also call in to have a title held. Sixth Chamber will also place special orders for desired books not carried in the store — a convenient feature for nearby University of Minnesota students. Located near Michigan State University, Curious Book Shop is made up of three floors of over 50,000 books, magazines, and other paper items. The store carries used and antiquarian titles in genres such as fiction, sci fi, mystery, Michigan history, sports, and much more. Curious Book Shop is also known for its events aimed at collectors and fans, such as Classicon, a day-long show featuring pulp-fiction, pulp magazines, and other pulp-related items and paraphernalia. Dawn Treader Book Shop has been selling used and rare books to downtown Ann Arbor for over 22 years. Now carrying over 70,000 titles at any given time, Dawn Treader buys and sells books, libraries, and collections in all areas of interest. Mere blocks from the University of Michigan campus, Dawn Treader specializes in scholarly books in the sciences and humanities, though they also carry a wide variety of modern and classic fiction, science fiction, mystery, and early travel and exploration. In 2012, A Room of One’s Own and Avol’s Books, two formerly separate bookstores based in Madison, consolidated their business into one location. Catering to University of Wisconsin students and faculty, the bookstores offer wide selections of modern and classic fiction, nonfiction, magazines and periodicals, graphic novels, local interest titles, greeting cards, and even t-shirts. A central part of Madison’s female community, A Room of One’s Own offers itself as a meeting place, event forum, and safe space for Madison’s feminist community. The only bookstore located in downtown Indianapolis, Indy Reads Books sells used books for both adults and children. Most notably, Indy Reads Books is a source of revenue for the not-for-profit organization Indy Reads, whose mission is to improve the literacy skills of adults in central Indiana who currently read at or below the sixth grade level. In addition to selling great books at discounted prices, the bookstore offers a number of events each month aimed at readers in the local community. Big O Books caters exclusively to students at the University of Nebraska. Students hoping to save some money on textbooks and other required class materials can depend upon Big O Books for the cheapest books available. At any point after purchase, Big O Books will then buy textbooks back for either cash or store credit. Those students who don’t wish to spend the money to purchase also have the option of renting their textbooks for the duration of the semester. Each day, The Dusty Bookshelf adds dozens of used titles to their stock from the literary communities of Lawrence, Topeka, Manhattan, and Kansas City. Over 70,000 books grace their shelves at any time, on just about every topic one can imagine. Though textbooks are not generally carried in the store, University of Kansas students will find valuable research titles on topics such as art history, psychology, history, biography, and much more. The Dusty Bookshelf also hosts a variety of community events, including live music by local and regional artists. Serving Sacramento and Northern California since 1936, Beer’s Books has become a beloved part of the Sacramento literary community. Their usual mix of product includes about 90% used books and movies, and about 10% in new books. They are highly selective with the books they buy to sell, ensuring customers are offered the very best selection of books in genres such as architecture, California and Western history, poetry, philosophy, and much more. Though they don’t usually offer to buy or sell textbooks, Beer’s Books has a dedicated and welcomed group of student customers from Sacramento State, UC Davis, and other Sacramento-area colleges. Considered to be one of the West Coast’s best book stores, Time Tested Books offers a huge stock of quality used books and vinyl records. The locally-owned business has a variety of local college students as part of their loyal customer base, and the store’s knowledgeable staff will happily special order new copies, or conduct a search for rare and out-of-print books. 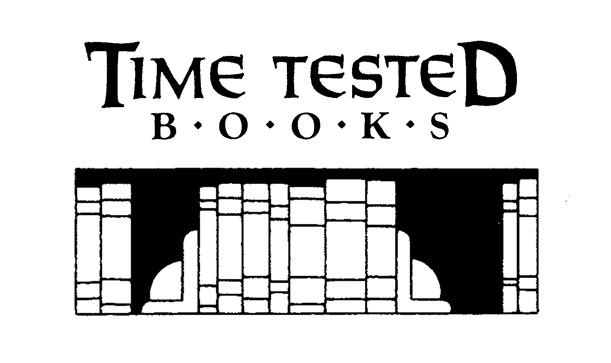 Time Tested is also known for their many community events, including author signings, readings, and lectures. From its location on Santa Barbara’s main shopping street, The Book Den has been selling quality books to locals, tourists, and University of California–Santa Barbara students for more than eighty years. The store carries thousands of new, used, and out-of-print books on most subjects and at a competitive price. Most antiquarian and textbook-type books are sold via the internet, while shelves in the store are reserved for general used books that appeal to a wider audience. Magus Books is Seattle’s oldest independent bookstore. In business since 1978, Magus buys and sells used and rare books. Over 80,000 books line their shelves, many of which are fiction. The prices are competitive and reportedly fair, and the store features a very popular $2 rack for those looking for a good read on the cheap. Due to Magus Books’ proximity to the University of Washington, the store carries a very large selection of textbooks and other titles of academic interest. Lyon Books is a family-owned bookstore serving the unique town of Chico, California and students at Chico State. From their downtown location, Lyon Books sells quality new and used books, as well as unique gifts. If the book you’re looking for is not in the store, the knowledgeable staff will special order a copy. The store has quickly become a favorite venue for local authors and poets, and book signings, readings, and premieres are a common event on the calendar. The Title Wave is a popular used bookstore carrying over 20,000 used books, audiobooks, CDs, DVDs, and magazines at bargain prices (hardcovers start at just $2, while other items cost only $.25). The store caters to the local student community, and educators always receive a 25% discount off of their purchase. Followers of The Title Wave on Facebook are given further opportunities to save through coupons and weekly Midweek Markdown sales. One of the most famous used bookstores in the world, Powell’s City of Books carries thousands of new and used books over six locations (two of which are specialty stores) and one successful website. Unlike so many other used bookstores, Powell’s mixes paperbacks and hardcovers, new and used, on the same shelves, leaving it up to the customer to decide the very best book for their interests and budget. Each store is full service, and will offer to special order any available title not found in the store. In addition to books in every genre, Powell’s buys and sells textbook to students all over the country via its website. Located in the Capitol Hill neighborhood of Denver, and within easy access from the University of Denver, Kilgore sells quality used books, graphic novels, magazines, and comic books, among other things. Their selections include reading materials in all major genres, though their specialties are science fiction and fantasy, fiction and literature, and philosophy. For fans of comics and graphic novels, Kilgore has a consignment system through which customers can sell their comics and books. University of Denver art lovers and historians flock to Capitol Hill Books, and for good reason — located only a couple blocks from the famed Denver Art Museum, the bookstore carries a large selection of art-related books. Supplies include titles about Native American arts and crafts, instructional guides, art histories, criticisms, biographies and more. The store also carries gently-used copies of a variety of other genres, and will trade books for store credit for those looking to unload their own shelves. With three stories and more than 100,000 titles, Boulder Book Store is Boulder’s largest independently-owned bookstore. The store sells both new and used books from just about every genre, but is especially known for its community events. Most nights of the week, the store’s upstairs ballroom will be transformed into a meeting place for the Boulder community. More than 200 author appearances are hosted each year, and past events have included Christopher Moore, Deepak Chopra, Garrison Keillor, David Sedaris, Chelsea Handler, and Sherman Alexie. The Iliad Bookshop has over 100,000 used books for sale, making it one of the largest and most successful used bookstores in Los Angeles. The store encourages customers to come and browse, and offers chairs, music, and water for their comfort. Also worth mentioning are Iliad’s many accolades, which range from Best Bookstore (L.A. Hotlist Awards) to Best of L.A. (LA Weekly) to an appearance on A&E’s “Storage Wars.” Located in North Hollywood, the bookstore is well worth the trip from any of Los Angeles’ many colleges and universities. Located in the Mission district, Dog Eared Books has been selling new, used, and remainder books since 1992. Though Dog Eared considers itself a general interest store and sells “a little of everything,” it specializes in Beat, off-beat, small press, and local literature books. Though Dog Eared technically does not buy or sell textbooks, academic books from a variety of genres are carried in the store. In a city as small as San Francisco, Dog Eared Books is easily accessible from San Francisco State, University of San Francisco, and other local colleges and Universities. Conveniently accessible from San Francisco State, University of San Francisco, and any other San Francisco college or university, Green Apple Books describes itself as a one-stop shop for textbooks and other required course materials. Though the store carries new and used books of every genre, students can save up to 80% off textbook list price by buying or renting their books from Green Apple Books. At the end of the semester, students can either sell their textbooks back, or consign them through the store’s consignment program. First established in the midst of the Beatnik era, Moe’s Books has become a world-famous destination for book lovers. Located just four blocks from the University of California campus, Moe’s sells books of every genre at some of the most competitive prices. The store also has an active reading series, and often hosts readings and presentations by a number of interesting figures. Some of Moe’s most recent events have featured Lawrence Ferlinghetti, Michael McClure, Diane di Prima, Dave Eggers, and Jonathan Lethem, to name but a few. Located in downtown Santa Cruz, and within easy access to University of California–Santa Cruz, and Santa Cruz and Cabrillo College, Bookshop Santa Cruz has over 20,000 square feet of new and used books, magazines, cards, and unique gifts. Though it carries fresh and interesting books of every genre, Bookshop Santa Cruz specializes in travel, politics, cooking, science, and fiction. The store also hosts a number of author events featuring both national and local authors. Between its two locations (in the Lake Forest Park and the Ravenna neighborhoods of Seattle), Third Place Books stocks over 240,000 new, used, and bargain books. The store is built for people to relax and read in ways they’re unable to at home or work, and is therefore a comfortable and safe place to browse, linger, lounge, read, eat, and talk. Hosting free Wi-Fi and over 1,000 community events each year, Third Place Books is a great place for Seattle’s population of books lovers and college students to study, write, and purchase any required coursework materials. Located in Seattle’s Capitol Hill neighborhood, Twice Sold Tales is a unique bookstore that buys and sells used books and other gifts. Over 10,000 books from nearly every genre line the shelves. The bookstore acquires all of its stock through book buying and trading, and while they always offer to take books for store credit, do not always purchase books for cash. Cat lovers will especially adore Twice Told Tales, as four friendly cats live in the shop and visit with customers. Independently-owned and within easy access from Boise State, Rediscovered Books sells gently-used titles from every major genre. Rediscovered Books was started in 2006 by a husband and wife team who wanted to create a place where people could find both books and conversation. Achieving just that, Rediscovered offers a wide variety of local interest books and books by Idaho natives, plus a packed calendar of events that include book clubs, readings, signings, and more. Though Cal State Long Beach students are unlikely to find the most recent edition of a textbook at Long Beach’s One Dollar Bookstore, they may find within the thousands of books older editions or other titles invaluable to a research paper or academic interest. Located directly across from the convention center at the popular Pike, every item in this massive store is only $1. In addition to books, the store also sells comic books, graphic novels, children’s picture books, posters, and other unique items. Located near the historic Sonoma Plaza, Readers’ Books is Sonoma’s premiere gathering place for good books and community events. The bookstore carries both new and used books in a variety of genres, but especially focuses on contemporary fiction, poetry, children’s literature, food, wine, and religion. Readers’ Books also hosts several author events each week. Though the store’s customers are mostly tourists and Sonoma locals, Sonoma Plaza and Readers’ Books are within an easy drive from Sonoma State University.